Ascending Butterfly: We'd like to give you flowers for Thanksgiving! Win a $50 Gift Card to 1-800 Flowers!! We'd like to give you flowers for Thanksgiving! Win a $50 Gift Card to 1-800 Flowers!! This giveaway is now CLOSED. Thank You so much to our wonderful sponsor 1-800flowers! We would love to work with you again! The winner is 'Natalie A', Congratulations! Remember: There are still some great giveaways active on the upper right hand side of the page! I absolutely love flowers. With Roses, Stargazer Lilies, and Orchids being my top 3 all time favorites! What a delight it was to receive the Martha Stewart Lily Meadow Bouquet this week. I decided a special bouquet needed to be displayed in a special vase. I placed the bouquet in a crystal vase that belonged to my Grandma, and placed a photo of her next to it! It would be absolutely selfish of me not to spread the love! So there is definitely a giveaway for YOU! I thought it would be great for a lucky Ascending Butterfly to enjoy a holiday bouquet of their own. With a huge variety to choose from and amazing customer service, it's a no brainer to send flowers with 1-800 Flowers.com. I wanted to show both photos to show that it arrives with many un-opened flowers so your bouquet will bloom over the course of several days. But here is a picture of a fully in bloom version of the bouquet. Absolutely stunning! 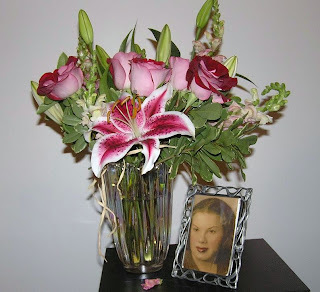 I have both received and sent flowers with 1-800 flowers and have always been delighted. The fragrance is amazing, I can smell my flowers without even getting close to the vase! WIN IT! - Thanks to our friends at 1-800 Flowers, one Ascending Butterfly will have the chance to win a $50 1-800 Flowers Gift card to purchase your favorite bouquet! Please follow directions or you will be disqualified! All comments are moderated, they may not appear on the site right away (comments like "I want this or I want to win" will not be entered). You have from Saturday, November 14, 2009 until Monday, November 16, 2009 at 11:59 PM (EST) to comment and be entered for a chance to win. Please Note, we require an immediate winner confirmation on this one! You will have 24 hours only to confirm before we move on to an alternate. This is because you will be receiving an actual gift card and this is the only way for it to arrive to you before Thanksgiving! * Please vote for Ascending Butterfly on Divine Caroline's Love This Site Award '09 for the Body and Soul category, you can press into the badge on the upper right hand site of the page or click through here, there is a Vote button right under the description. It's a one time only, super fast, super easy vote! hope I did it right, thank you! I would order the Red Rose and Calla Lily bouquet. I would get the Deluxe Balsam gift basket http://ww12.1800baskets.com/product.do?baseCode=93090&dataset=11097&cm_cid=d11097. I also follow on here as Natalie. I became a Facebook Fan of 1 800 Flowers! These would put me in the perfect mood- esp. with the treat they come with! I follow 1800flowers on twitter. 1800flowers fb fan Jenna O.
I would get the Christmas wreath with the gift card. 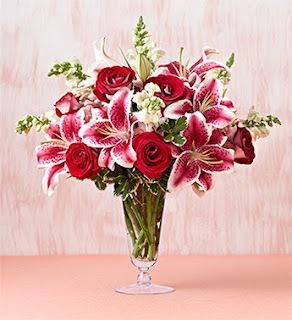 http://ww12.1800flowers.com/product.do?baseCode=18327&dataset=10403&cm_cid=d10403. My mom has always wanted a wreath so i would get it for her. This is something I'd really consider ordering if I won! I'm a 1800Flowers Facebook fan. I love the http://ww12.1800flowers.com/product.do?baseCode=16941&dataset=10674&cm_cid=d10674 Thanks! I voted on Downy Simple Pleasures. Let's try this again http://ww12.1800flowers.com/product.do?baseCode=17810&dataset=1011&cm_cid=d10807 Yeah Success!!! I'm a follower. I love this: http://ww12.1800flowers.com/product.do?baseCode=13952&dataset=10314&cm_cid=d10314 for a Thanksgiving center piece. I'd go for the Viansa Vineyards Wine Tasting gift basket because, much as I love flowers, I love great wine and food even more, and so do many of the peeps I'll be sharing with this season. You've been FAVED by wandapanda. Your blog has been FUELED by Wanda. I'm following 1800flowers on Twitter. Downy - I voted for your scent via your Ageless Fantasy giveaway so that was my daily vote. The number showed as 111 but I think I actually was 112. I follow your blog on google friends connect -Joanne Schultz. i follow 1-800 Flowers on twitter - js22222222 . i follow Tracy_Iglesias on twitter - js22222222 . I would get the Sweet Baby Girl™ Arrangement for my sister who is due with her first baby any day now. *****Erica C. if you are reading this, your profile has no email address associated with it, you did not leave one in your entry either. 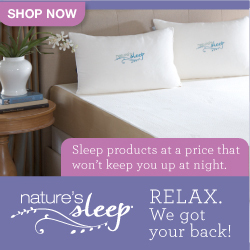 you MUST leave a comment with an email before this giveaway closes or your entry will be voided. We only notify winners via email. They are posted here only after they have confirmed. Which means that even if the random number generator selects you, we will move on to someone who has an email in their entry comment or their profile.